When an entrepreneur starts his small business, one of the initial and essential tasks he starts are the business plans for the company to put into writing his mission and vision. Despite creating goals and objectives for the company, important factors that must be considered in the stages of the business development are the ability to have cohesive planning and management approaches, create business deals and marketing strategies, research for development continuity, and advertising and sales advancement. But before any ideas comes to life, planning and creating different ideas for its success have to be done. Within the different branches of the company, proposals for certain ideas must be studied and reviewed in order to ensure that the most qualified ideas are approved. 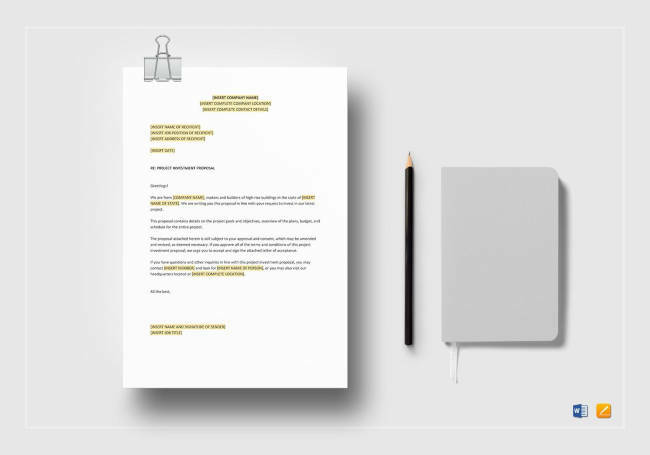 The best proposal templates are smart, creative and appeal to the clients needed to be impressed. Business proposals are written records that are handed over to a potential client in the hopes of acquiring a certain project. 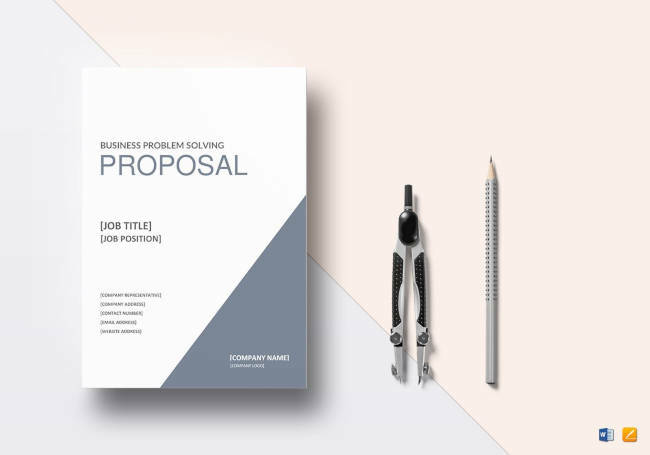 These service proposals can be a formal solicitation otherwise known as a Request for Proposal, which determines the goods or services for provision, the competencies needed, and the submission of deadline. 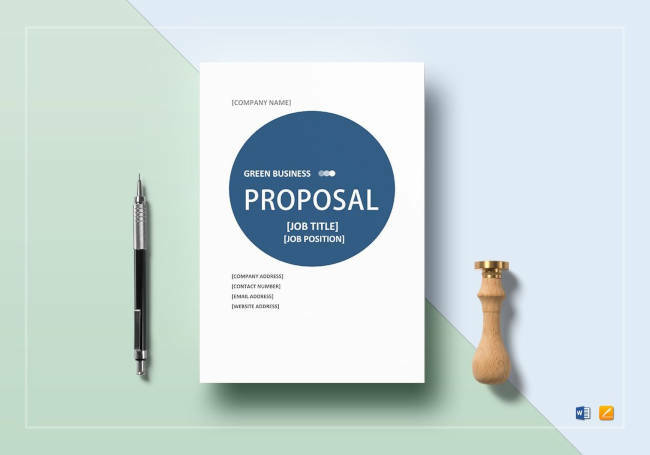 Unsolicited proposals on the other hand, are often akin to sales presentations, however these are specifically targeted at a distinct and restricted activity. Business proposals are different from business plans since business plans embody the vision and the steps you need in order to achieve that vision. 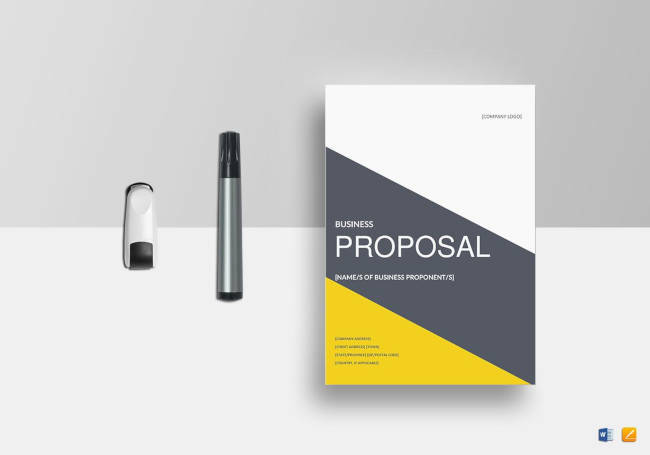 In summary, business proposals develop a business opportunity with a probable investor. Creating a business proposal allows any business deal to have a strong foundation to stand on. It is also important for your business proposal to outshine your competitors, and highlights your company’s strengths. 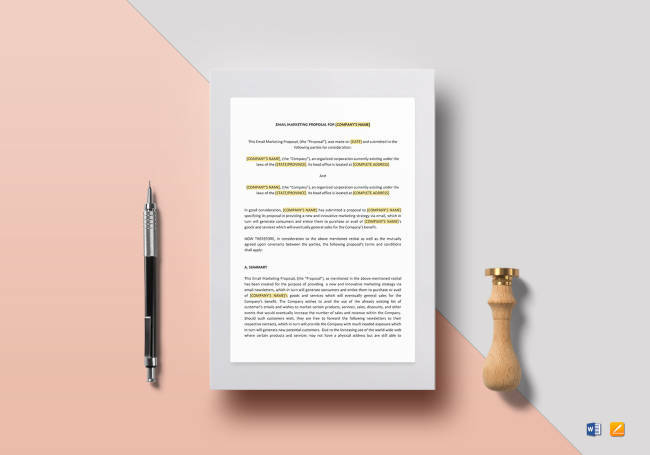 With the help of this template, each party can document clear deals and expectations to minimize any misunderstandings you and your investors will encounter along the way. 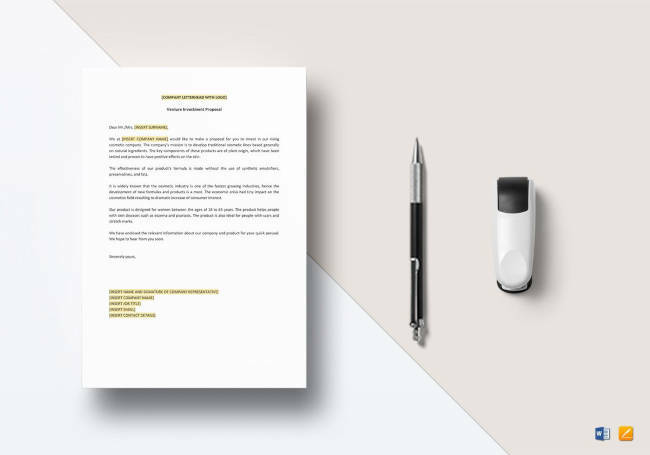 Including an enclosing letter that excites your prospective investors is also important as it adds heart to your proposal without losing its professional tone and gives an overall summary of what you want would like to achieve with the prospective investors. In this day and age wherein citizens are more aware and educated regarding sustainability and the effects of certain products and procedures have on our environment, many investors are now looking into companies that embody the love and concern for Mother Earth. Should there be no response from any of the viable investors you were hoping for, you may have to create resubmission of proposal especially if your company uses standards and procedures that may display only a few ideals of environmentalism. With the help of this green business proposal, or eco-friendly business proposal, you are able to present to your investors not only the deals you will establish and your service propositions, it will also aid in allowing your company’s ideals and vision for a more sustainable workplace one of the focal points of your proposal. 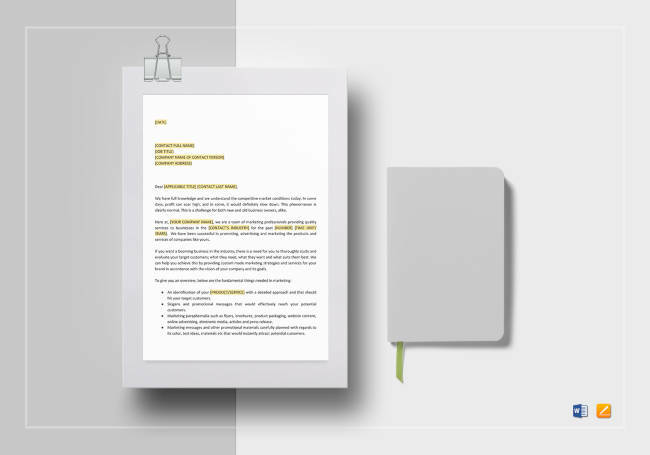 This template allows a company to focus on their their services for a potential investor in hopes of building a business partnership in the future. A company would like to attract dynamic partners that they deem beneficial for their own growth, therefore, writing a resubmission of proposal is a task one would like to avoid as impressing investors is an endeavor companies would like to accomplish on their first attempt. 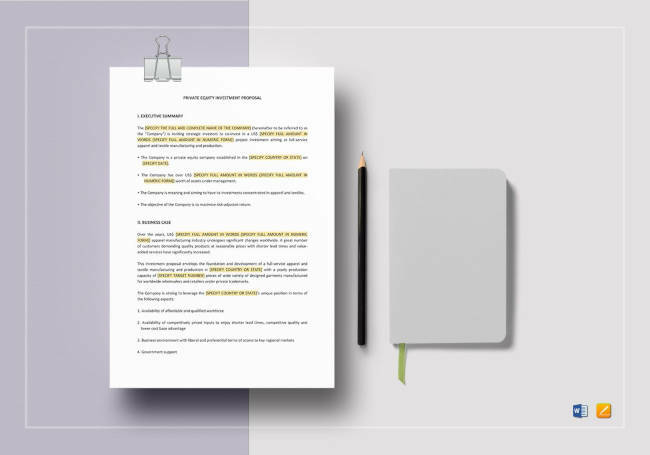 This template continues to cover points such as an executive summary, objectives, cost summary, contract and terms, benefits, and project management. This template is a very detailed document which enables prospective investors to read through the company’s details. Apart from the proposed business deals the company has to offer, other points that are explained are their history, the objectives of the business, vision and mission, and guiding principles and values. This proposal also tackles on the company’s description, operations and services, as well as a market analysis, threats to the organization, financial plans, the organization as a whole, management, and other important details of the company. 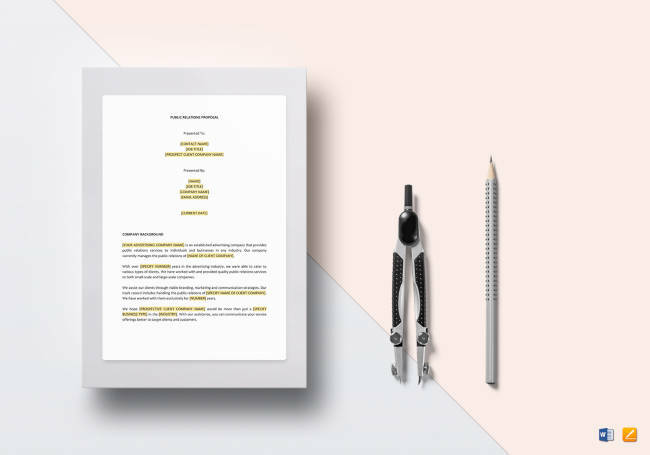 A professional memo is attached along with this professional business proposal as it has a written a short scope of your proposal such as its purpose, background and significance. Similar to a one page business plan wherein you can create a simple blueprint as reference to your full-blown and professional business plan, a one page business proposal is a simple and general proposition you wish to hand over prospective clients which covers the essentials and deals your company wishes to highlight such as background objectives, solutions, cost summary, and contract and terms. 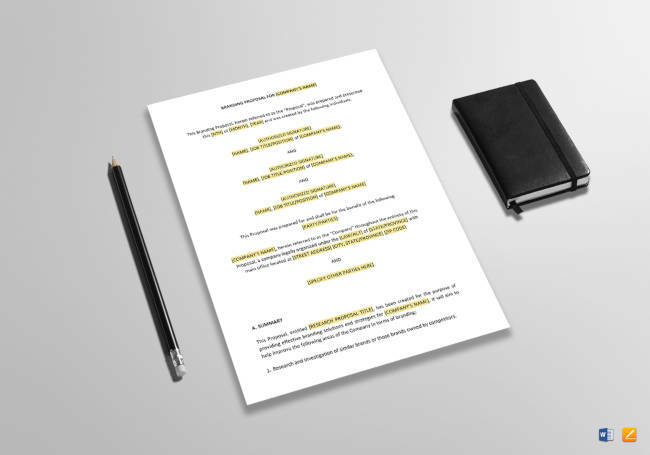 Although your company will still need to hand out a more detailed business proposal to prospective clients, this template can serve as your reference or can even be edited down and created into your executive summary for your detailed and professional business plan. As a business becomes successful and continues to serve its clientele for a significant amount of time, it should always be the continued aim of an entrepreneur to promote expansions and advancement for the growth of the company, may it be in terms of size in number or further development with the services put out. This template is helpful to bring about some change within an organization, may it be a new system, operations for carrying out the company’s projects, or new facilities and workforce. After detailing the problem that is addressed and with the guidance of analysis templates, it enables a company to study the different changes that may cause new problems in the process of developing what department needs to be improved upon. One of the duties marketing agencies undertake is reaching out to small businesses and creating marketing strategies that boost the company’s sales and profits. Most external marketing projects in start-up businesses operate on a bidding system wherein business owners inquire with marketing companies that present a proposal, prove their accolades and accomplishments, present plans for completing projects, as well as what they have in store for the company once the project is completed. 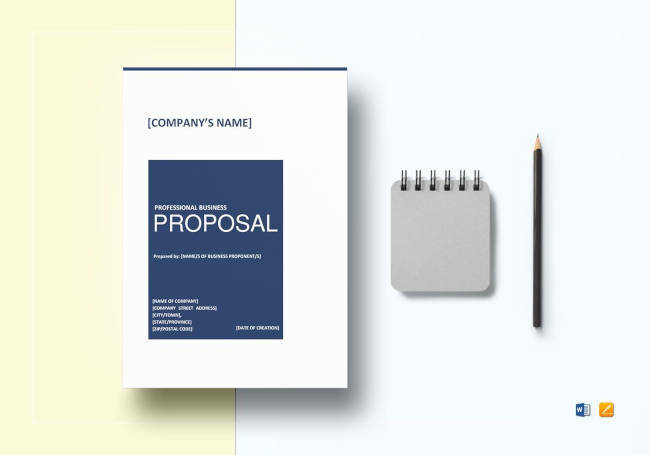 Having a marketing proposal template along with other marketing templates will surely capture the attention of the business you wish to work with. 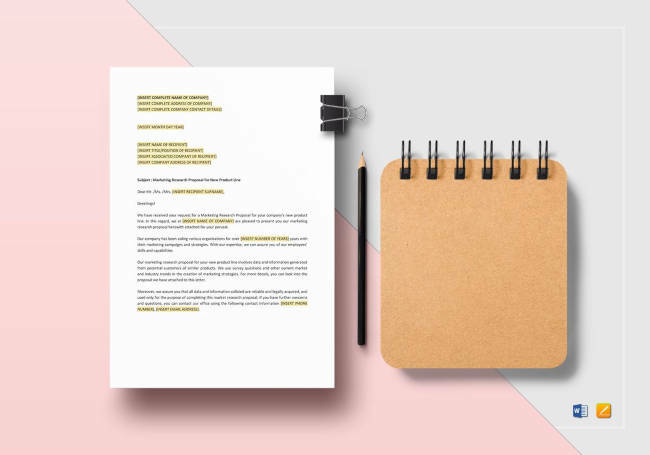 This marketing recap proposal template allows marketing agents to create a summary for clients regarding their performance and successes over the time frame that they have worked together. The aim of this template is to convince the client that allowing them to continue working on new marketing strategies is a smart move, highlighting that their past projects with them have been successful and that their next proposed plan will become successful as well. With the aid of some marketing reports, approval for your proposal will be less stressful and more successful. Creating and executing marketing campaigns are some of the few tasks online marketing managers have to encounter. And because online marketing managers need to be innovative and creative in order to portray their message and marketing campaigns in a catchy manner to attract an audience, companies have the option to choose the marketing managers and their campaigns according to their taste. 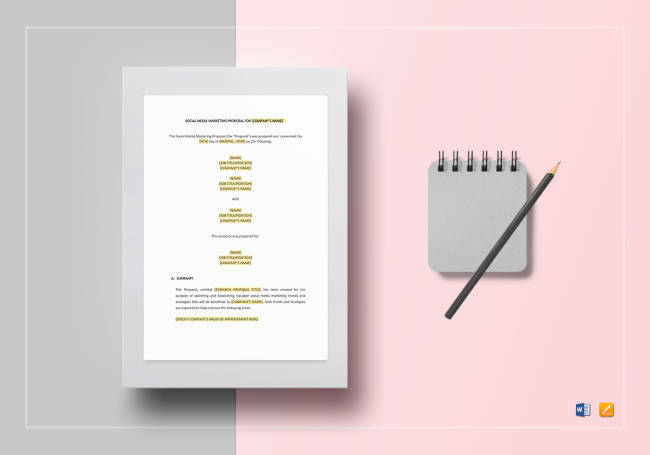 With this template, creating an online marketing proposal can be simpler and allows managers or agents to write down their vision and the steps needed to illustrate their goal. Pitching a new product to the public can be a challenge for many establishments. Especially in this day and age where innovation is often more essential than originality, it’s quite challenging to capture the attention of new customers when new launches come out. 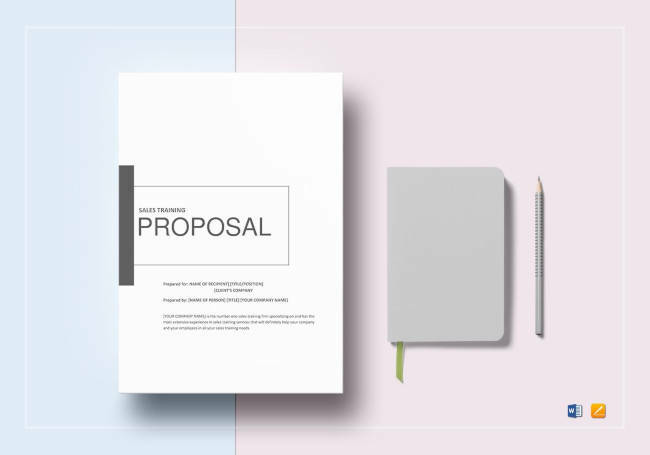 For marketing agents, the ability to create a quality product marketing proposal is a challenge, but it does not always have to be, especially when proposal templates like these are available online. It allows agents to write a scope on the product and its features that make it a noteworthy aspect that can be the focus on the campaign, the strategies and steps in creating the vision, as well as the budget in creating the campaign. Digital marketing managers are in charge of developing, applying and administering marketing campaigns that advertise a company and its goods and/or services. Other tasks also involve administering the improvement of brand awareness within the digital space, building up the company’s website traffic, and obtaining clients. However, since the population of digital marketing managers have gone up, companies have the option of choosing the right digital marketing managers fit for their company, therefore a digital marketing proposal is needed to impress more clients. 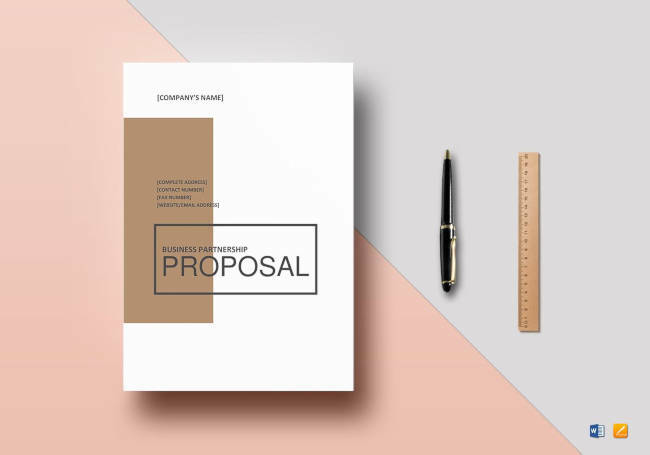 This template allows digital marketers to create a proposal with ease for their prospective clients hoping to up their digital marketing campaigns. This includes an overlook of their strategies, marketing packages, pricing, and other final agreements. One characteristic great email marketing campaigns have are that they are unique, creative, and are able to catch the attention of the email receiver in just a few seconds of scanning through their list of emails. With great campaigns, digital companies initially have to select a marketing agency with a notable reputation or hire a very talented marketing agent who is able to attract and invite customers to avail of their services. 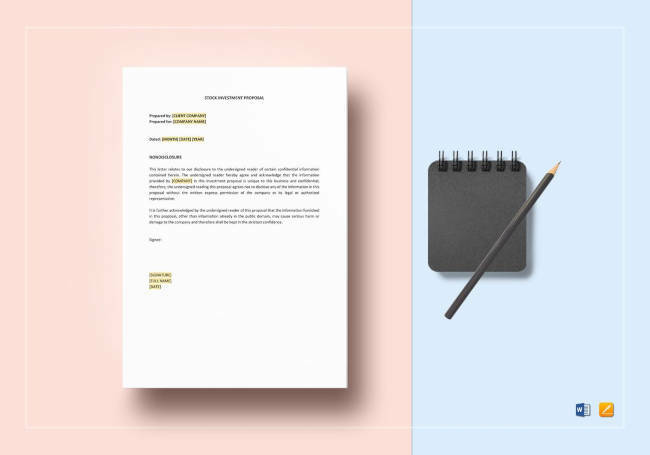 With the help of this email marketing proposal template, marketing agents can create the vision they want for the production of the company’s new marketing campaign. These are in line with the products and services available for purchase as well as the steps needed, a timeline, and cost summary of the project. In line with the usage of sales email templates, checking the establishment’s revenue after the campaign has been launched will record how effective the marketing strategy they have created was. The goal of a social media marketing is to gain website traffic with the help of the utilization of social media websites. Whether the aim is to place more attention on a certain product or the brand of a company as a whole, it is no doubt that social media is an effective tool in placing your business out to the public due to the fact that most people use social media sites. This template enables marketing agents to create a proposal in order to showcase a certain product or service with the help of social media. 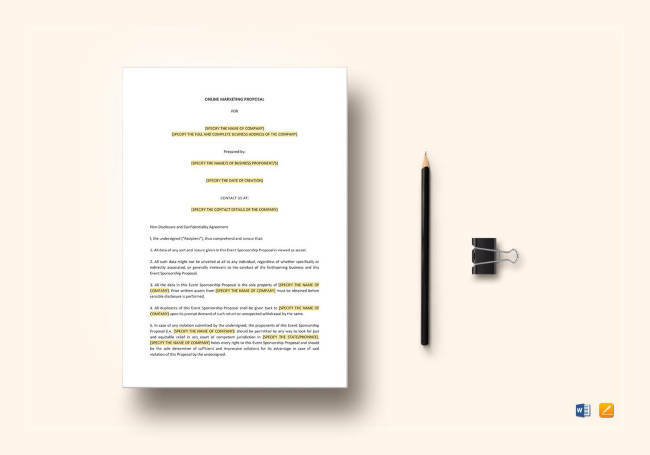 With the help of other social media templates, creating a proposal that covers essential aspects such as an executive summary, the scope and objectives of the campaign and other matters that are necessary for the campaign can be written with ease. Research proposals are written records that proposes a research program which includes the request for funding of that research and must cover the area of study and that the research design is achievable. It also contains points of the research goals or hypothesis and a short narrative of prior research in the topic area. These proposals are then assessed in terms of cost analysis of market research, probable effects, as well as the integrity of the proposed plan to be fulfilled. The purpose of a market research proposal is to create a possible plan for collecting, studying and deciphering data regarding an audience, and a product or service to be provided for that audience. 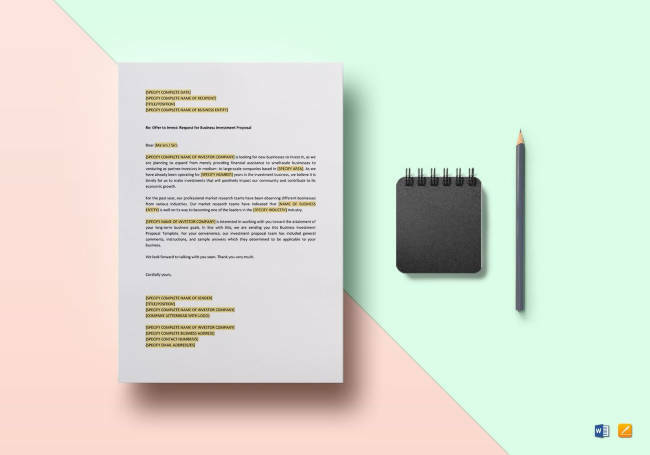 In this template, a team can create an outstanding proposal that states a narrative about the past, present and probable customers for your product or service. They can also do research regarding your company’s targeted audience in line with their characteristics, habits of spending, location and their needs, and the competitors you will encounter. A research memo is also attached to answer certain queries that are important in guaranteeing that the content of the research is well-interpreted and understood. 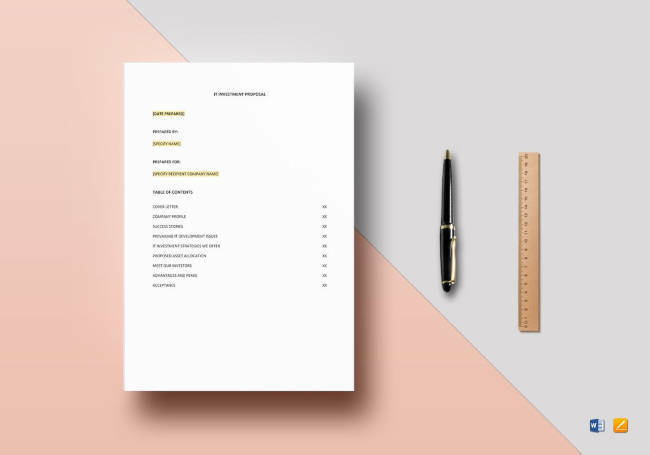 This one page research proposal template can be useful if you want to convey the details you wish to propose in a simple layout yet presents the details you wish to present. It includes a brief explanation regarding the background of proposed research, its objectives, methods and steps in gathering of data, what is to be expected, and a timetable should the research be approved by management. 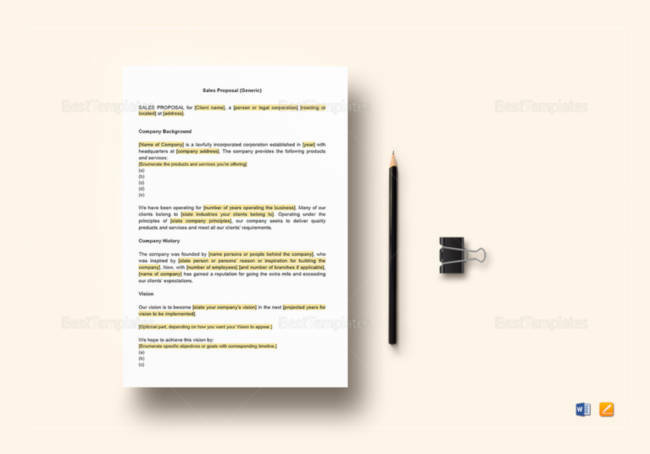 A marketing research proposal template is a written document that justifies the need for undertaking a research project which promotes the branches the marketing research wishes to promote which are its products, the price, place, and promotion. Created in a non-technical manner and thorough in its assessment, the benefit of this template is that it creates a study wherein the products must compensate the need and priced at a fair level in a location that can be seen by the right audience and promoted to develop sales. Many businesses thrive in the investments of bigger companies or independent contractors especially in starting up an establishment. There are also a few businesses that have managed to continue without the need for external assistance with regard to finances. They are looking into the investigation of investors to partner with in order to expand their business, may it be in terms of size and/or productivity rating. Investment and partnership proposals open the doors for further deals that benefit both parties. And though there are many risks such as breaches of contracts or the unsuccessful growth, these proposals and other finance templates allow for the avoidance of certain misunderstandings that may occur in the future. In the end, business deals that involve outside support have many risks to consider, as all business decisions do, but should success grow, the aftermath will be all worthwhile in both ends of the spectrum. Investment proposals must obtain the attention of prospective investors in order to raise finances. 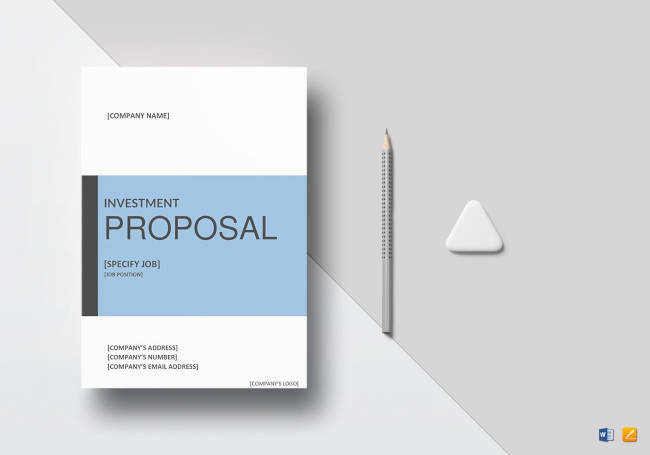 These proposals must be unique to prospective shareholders, and should have an understandable explanation regarding the amount of funding that is being solicited, purpose for solicitation, explanation with how the money will be utilized, and an concise description of the planned effects or aftermath of the investment. With the help of an investment calculator, a specific parameter of an investment plan can be calculated such as the return rate needed to be obtain in line with an investment goal. 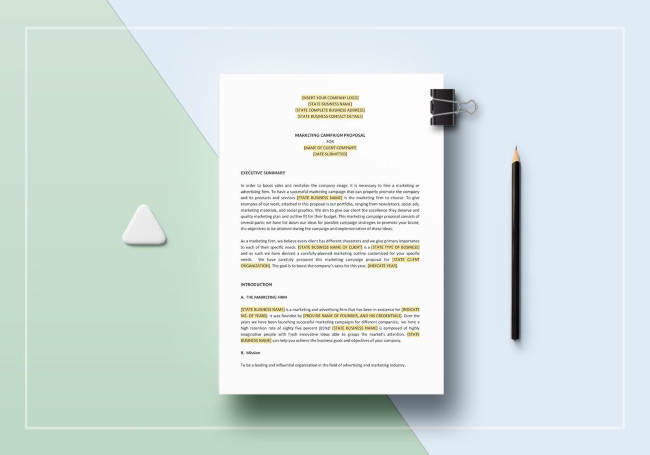 This template can help a company in order to create an investment proposal that will impress potential stockholders that can aid in certain matters such as funding and future partnership that will not only strengthen your business, but theirs as well. This sample investment proposal allows the important specifics of your deal for your investors to scan through in terms of cost summary, agreements between the partnership, and other important details that affect the merging of two powerhouses. Investment agreements are also included as this allows for the avoidance of future qualms and disputes that may occur especially in terms of funds. In order to further develop a company through the help of investors’ support, they will still be needing to scan through your business proposal in order for them to conclude that partnering with you and your company is a smart business move. This proposal will eventually lead to an investment contract that will add finality into your agreements and will create operations that now involve the parties affected. An alliance between businesses presents a way to produce benefits which include connections to new markets and broaden audience support, and machineries or technologies. 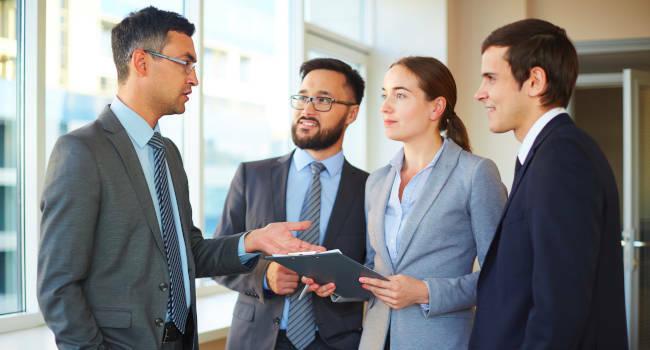 However, to create an efficient business partnership proposal, a group of shared and collective concerns must be addressed such as benefits, moral alignment, objectives of the alliance, and any queries regarding disunion in the future. With the help of an investment analysis, the different parties can assess whether or not the union between establishments is a smart or destructive idea. Creating a business investment proposal allows shareholders to read through a company’s summary on what their business is all about such as their vision and mission, operational processes, size of company, etc. Of course, this template also includes the deals being precluded. These types of information are essential in allowing investors to have an overlook at an establishment and if the deals benefit both parties and not just one. With the help of an investment opportunity analysis, it allows future investors or shareholders to assess on whether or not it is a smart business move to continue on with the deals or not. 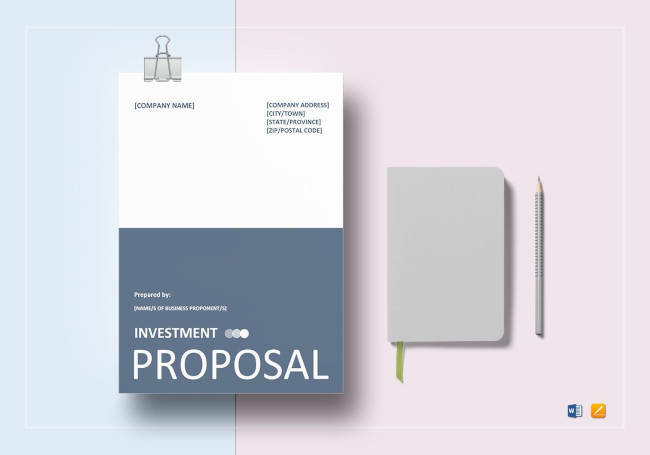 The aim of this private equity investment proposal template is to supply financial support and generate investments in the private equity of startup or operating companies with the process of an array of generally associated investment methods which include venture capital, leveraged buyout, and growth capital. With private equity firms and an investment plan, a company is able to form investments that are longer-held in certain industry sectors or a targeted investment area wherein they possess expertise in. 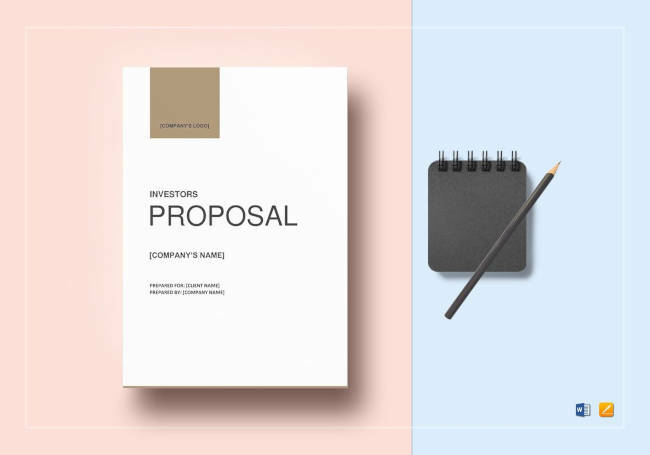 This stock investment proposal template is used by an establishment in order to increases their cash flow through the investment of stocks. This involves a stock purchase agreement which settles all the terms and conditions associated to the acquisition and sale of the company’s shares. Though it is important for the entire agreement to be examined and assessed, the two points that should be focused on are the purchase and sale section, which should match with the stipulation of terms on the letter of intent and the representations and warranties to allow assurance that there are no statements that may be untrue or show fraud. 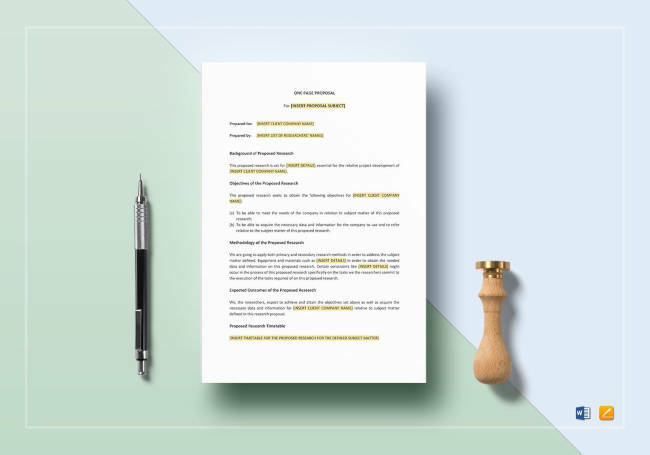 When a company is in need of more funds whether it is for their capital or further cash to continue operations, then this venture investment proposal template can be useful in approaching a venture capital firm. With the help of a venture capital purchase agreement, the company can gain funds from the firm, and in return, sells equity to the firm. Updating or adding certain technologies are essential in order to further expand the business. However, plans must be initially made in order to assure that the technology invested is a smart business move. With the held of this template, requesting for further funds to be developed can be pursued. Assistance from IT templates will further boost your enterprise as long as it is planned well. This template aids in selling a potential project to shareholders and investors. However, approval is still needed before a project can start its operations. 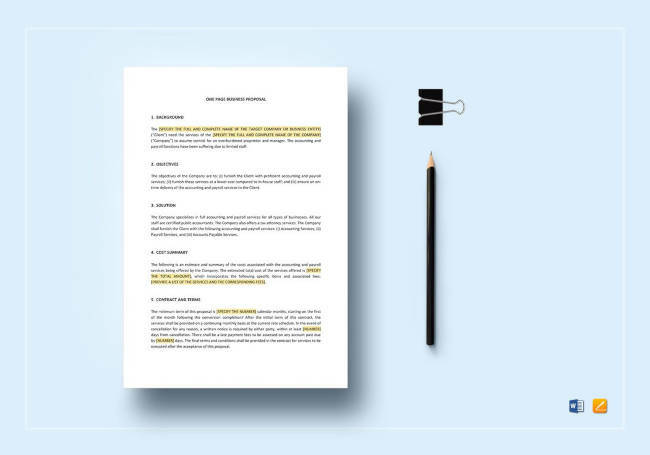 A project proposal allows the writer to place focus on the essence of the proposed plan while utilizing an easy-to-follow outline. One of the main goals in raising a company is creating revenue and allowing it to continue to grow through the products and services an establishment provides. Despite having sales as one of the leading branches that drives the company to its continual success, creating ways to increase revenue becomes a challenge. Advertising and sales go hand-in-hand as publicizing your products, which is part of the marketing process, allow for more audience attraction. This in turn allows more customers to purchase more goods and services. With the assistance of sales templates, the ability to produce more earnings in a more organized and efficient way can be less taxing and productive. The ability to advertise a company’s new products or even a just publicizing your company as a whole can be a method to boost sales and increase clientele. However, before a commercial can be broadcasted, there are certain aspects of what is to be advertised that has to be planned first. One of the first few steps in the creation of an advertisement is when different advertising agencies pitch a company for their ideas regarding a commercial they want to produce. Many advertising agencies bid for the approval of their client with the help of their advertising proposals. 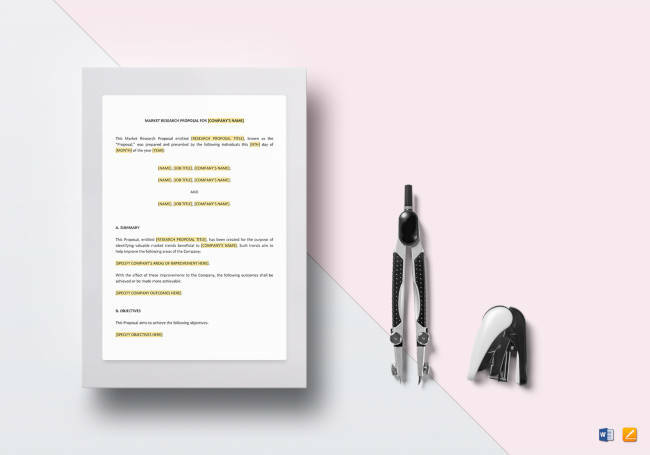 This template showcases the advertising agency’s recommendations for the campaign, telemarketing scripts, cost summary and the deals that go along with the partnership. 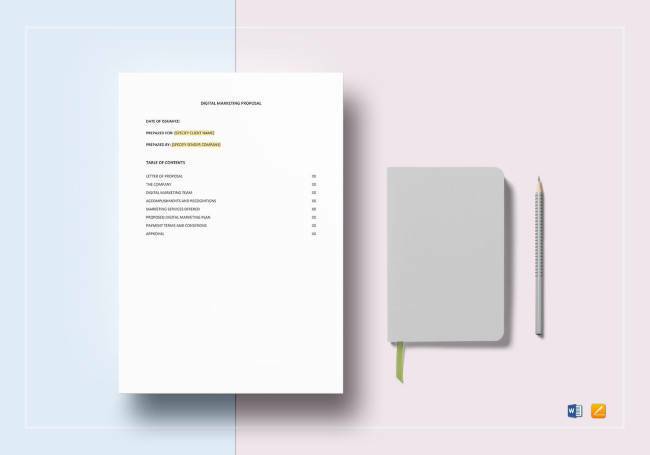 The purpose of this template is to pitch ideas for the company’s management in terms of promoting personal development of skills and techniques in relation to building new sales chances and closing these deals for the company. 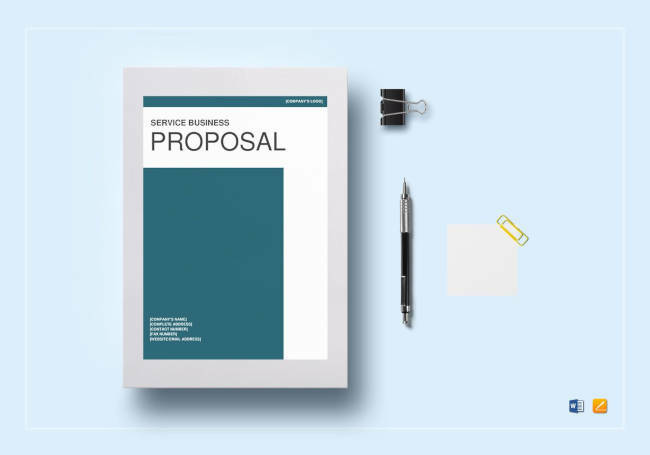 Should the proposal be approved and becomes a successful project, this would enable employees to be knowledgeable in answering future sales questions regarding certain matters such as the current sales quotation, development of sales, and the ability to increase revenue. Sales proposals are a written bid from a sales representative to a prospective customer in line with the products or services being offered. 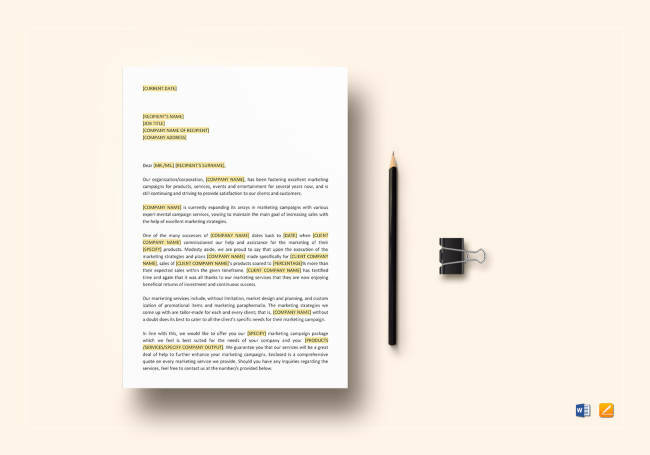 Generally, this template should have a description on certain points that are essential in a proposal, such as details regarding the goods or services being offered, how these will benefit the client, and what sets the product apart from its other competitors. 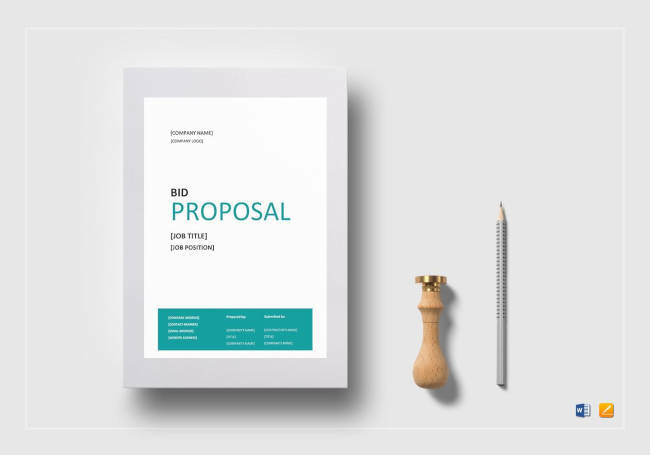 When a company is looking to outsource the services of an external contractor, the company creates a bid proposal in order to complete their project and aims for its completion if the two working parties are able to come up with a business agreement. Hiring independent operatives allows them to analyze and assess your business and the processes from an outside perspective. This may affect sales projection, which determines the company’s wellness. The range of this proposal includes the company’s brand discovery, brand strategy, its design, and a sample. Branding allows for a business to stand out among competitors and is a great marketing scheme because of this characteristic. Often needing an external contractor to design your brand, a branding quotation will also be needed in overseeing the initial costs regarding labor and materials used. This proposal involves any plans that need approval in terms of strategic communication from an organization to the public. Excellent public relations is another component of marketing strategies as it allows an establishment to be more profitable through communicating and customer relationships. Hand-in-hand with press and PR templates, having a good and clean image being portrayed to the public can increase sales. In summary, before pushing through with a certain project despite concerns that are placed in the company’s different areas, proposals are still needed for approval and assessment. This is to make sure that the perspective project is a smart business move that will further develop not only the organization, but with everyone involved in the deal. With the help of investments and certain external aids, small business funding options are available whether to assist the company in its capital or for growth and expansion of the business as a whole.